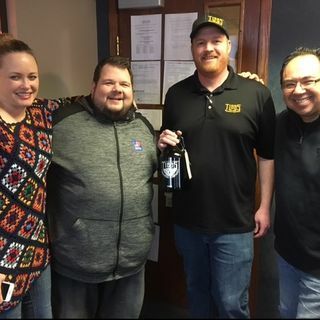 John Gonzalez and Amy Sherman of MLive and Behind the Mitten stopped by West Michigan Live on WOOD Radio to talk about local events and their upcoming weekend show. They brought along Kevin Tibbs of Tibbs Brewing Company in Kalamazoo. This weekend's show is broadcast from Tibbs, which is in the middle of Kalamazoo Beer Week.